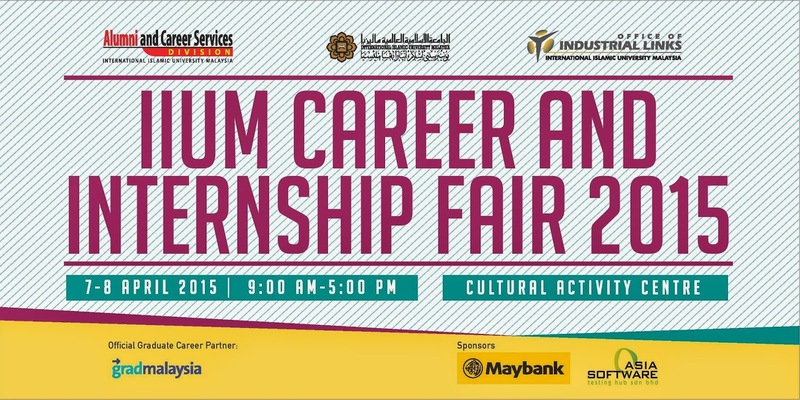 The Alumni and Career Services Division (ACSD) and Office of Industrial Links (OIL) are organizing the IIUM Career and Internship Fair 2015 on 7-8 April 2015. 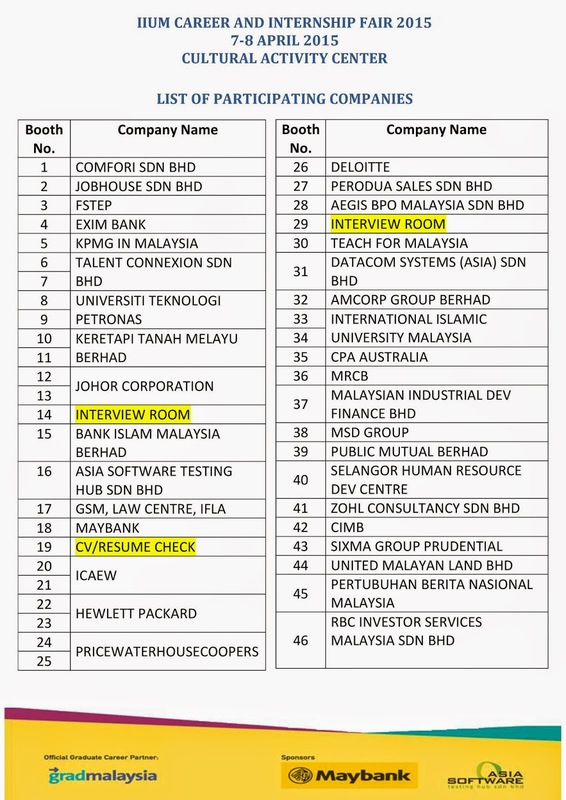 Over 40 employers are participating in this fair to provide students with information regarding career, internship and postgraduate studies opportunities. Bring along your updated résumé, transcript, etc. in order to fully benefit from the programmes. Please contact ACSD at 03-6196 6303 (Attn: Sr. Aishah/Sr. Citra) for any enquiries.